Some of the most well-known startup success stories begin at a coworking space. In the race against time and limited resources to achieve profitability, minimizing your office space spend is a smart move. One recent study found that for the majority of entrepreneurs, excessive burn rate is the greatest fear — even more worrisome than raising funding. Finding a coworking space is relatively simple. Connecting with the right coworking space for your budget, culture, goals, and needs is a bit more challenging. With the concept of shared workspace entering the mainstream, entrepreneurs are faced with a variety of niche offerings, including San Francisco-based spaces that offer everything from cold-pressed juice to the possibility of networking with venture capitalists (VCs). As a tech entrepreneur, you need a budget-friendly workspace option that can expand to meet the needs of your startup as you scale. Additionally, you may want a community offering education, networking, and other amenities. To help make sense of the variety of options in the rapidly-expanding coworking space domain, we've answered the top ten most common questions we hear from founders. 1. How much does a coworking space cost? Coworking space costs vary significantly, but are generally based on headcount and charged on a per-desk basis. Depending on your location and needs, your monthly costs per head could be anywhere from $300 for a "hot desk" or "surf desk," or non-dedicated space, to $4,000 per private office for a "ridiculously fancy" space in Silicon Valley. In general, Bay Area startups can expect to pay around $350 per month for a non-reserved desk space. An assigned desk may cost $600-900, while offices are generally a bit harder to find and priced in the thousands per month. Coworking space isn't as cheap as working from a coffee shop. However, savings on monthly rent is one of MediaKix co-founder Evan Asano's main recommendations to entrepreneurs looking to minimize burn rate. Shared office space can significantly reduce your monthly per-employee expenditures. Some estimates are as high as 25-30 percent in savings per headcount year-over-year. Ultimately, the cost of coworking space is another valuation assessment. Entrepreneur Dominic Penaloza advises founders to consider the "secret sauce" of coworking options, which is the community they offer. RocketSpace's pricing for tech coworking starts around $300 per month with options that include everything from hot desks to private offices, though pricing structures can vary. RocketSpace offers more than just location, security, and amenities. It's an exclusive, "unique ecosystem" that's been the launchpad for HootSuite, Kabam, Podio, and other tech startup success stories. Additionally, the RocketSpace community delivers the added value of flexible access, workshops, corporate partnerships, and networking. For more tech startup info surrounding coworking spaces, meetups, top VCs, and more, check out The Silicon Valley Startup Guide. 2. Do coworking spaces host events? Some coworking spaces focus on offering education and networking events to community members, while others offer no formal opportunities. Entrepreneur Dominic Penaloza has observed both sides of the coin in talks with coworking spaces worldwide, writing "Some coworking spaces focus on community... others make it a point of saying that they don’t spend any effort on community." While there may be some founders who want their coworking space to provide nothing more than a desk, the majority of founders can gain significant value from courses on tech trends, practice pitch sessions, and meetings with alumni and partner organizations. Understanding whether events and networking are valuable to you is an important evaluation factor in selecting the right coworking space. Some of the events and presentations hosted at RocketSpace have included startup luminaries like Ron Conway, Slack CMO Bill Macaitis, and Trulia co-founder Pete Flint. In addition to weekly workshops, there are ongoing networking opportunities like Bagel Mondays and Power Hours, along with educational opportunities on everything from fundraising to leadership. 3. What kind of perks come with a membership? When evaluating options in the coworking world, founders will encounter everything from bare bones options to "swanky" spaces with on-site cafes, meeting rooms, and lounge areas. Common member perks often include discounts and credits for tech services, discounted gym memberships, and conference rooms. Yes, spaces that offer exceptional perks, like a concierge who picks up your dry cleaning, are typically more expensive than their counterparts. RocketSpace's community offers a series of pragmatic perks to members. Some include secure, insanely fast Wifi, free printing and scanning, stocked kitchens with free coffee and fruit, and access to fresh grab-and-go food options from Byte. Community members who reserve at least a dedicated desk can take advantage of Amazon Web Services (AWS), Google Cloud credits, a discount on HubSpot marketing software, and perks through our other exclusive partnerships. 4. Can a coworking space accommodate my growing startup? While some coworking spaces have the space and culture to foster growth, others don't have that same concept baked into their business model. Niche coworking spaces are on the rise, which has led to industry-specific spaces and women-only workspaces. If you're anticipating fast growth, it's probably wise to consider coworking options that are designed for the unique growth needs of startups. For PetCru founder Allen Stone flexibility was key when deciding on a coworking space. With a rapidly-growing customer base, Stone needed to find a space that allowed him to "add on or break the monthly contract depending on our growth." Stone's desire for a flexible environment, without year long contracts, isn't unique among entrepreneurs looking to find a workspace for their team. RocketSpace offers a wide variety of flexible workspace options for teams of up to 60 or more people. This includes space available for growth, office suites that accommodate up to twelve people, and the ability to mix-and-match desk types/office space according to your needs and budget. 5. Will founders have access to mentors at a coworking space? 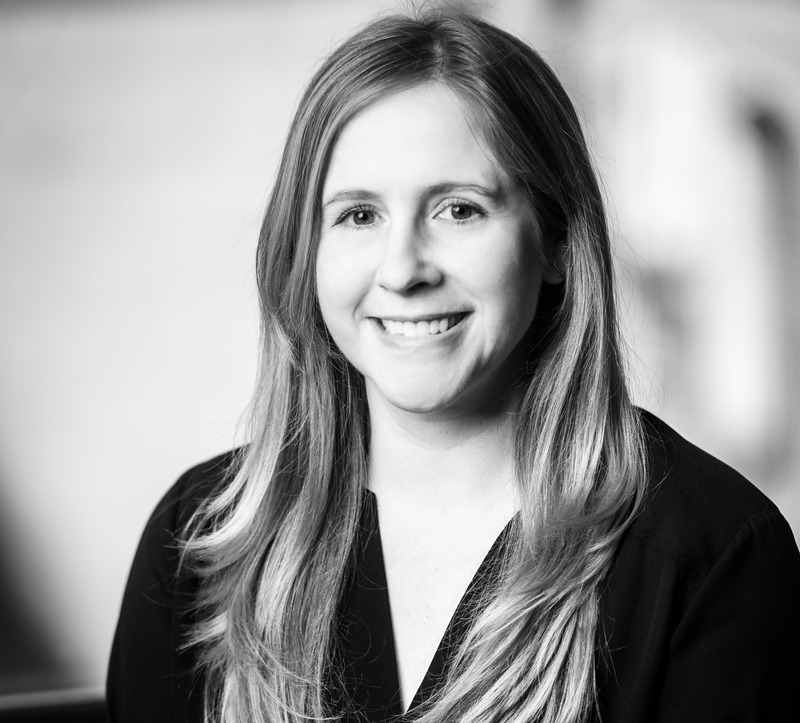 The right mentor can help guide both first-time and seasoned founders, helping them avoid pitfalls and foster important connections with partner organizations and investors. Startup founders who are mentored are twice as likely to succeed. While connections to prospective mentors is not part of the culture at the majority of coworking spaces globally, it's becoming a more common opportunity at selective, startup-focused spaces in innovation hubs. Community members at RocketSpace can apply to industry-based accelerator programs, which connect startups to corporate mentors to innovate and develop partnerships. As the former coworking space for high-growth companies like Uber and Spotify, RocketSpace regularly hosts industry leaders and investors for on-campus talks, workshops, and sessions. 6. What kind of admin services are available at coworking spaces? Even though Michael E. Gerber's legendary book The E-Myth is nearing its 30th birthday, it still has valuable insight for founders. Entrepreneurs can't get caught in the trap of acting as "technicians," or they'll lose the ability to develop a long-term strategy. It's safe to say that administrative tasks, like signing for packages, or acting as a receptionist, don't need to be on an entrepreneur's to-do list. Offering administrative services is another factor that can vary significantly among coworking spaces, even in San Francisco. While some spaces offer no admin options, many charge members for administrative work on a per-service or hourly basis. RocketSpace members gain inclusive, free access to reception services and mail distribution. 7. What type of recruiting opportunities are available at coworking spaces? Few HR experts or founders would argue that there's a serious talent shortage in Silicon Valley. As founders are forced to compete with established businesses, entrepreneurs face some serious talent issues. Founders work to attract top talent to their companies, often going to extremes. Like in the case of Weebly CEO Michael Carter, who announced a commitment to paying engineers the same salary as pro athletes. While availability varies, entrepreneurs who are worried about the tech talent shortage should focus on coworking spaces that offer varying degrees of recruitment support. This could include networking events and recruiting workshops. In addition to networking events and recruitment workshops, RocketSpace promotes member job postings on social media, and has an exclusive online community where members can reach out for advice and post jobs. 8. What kind of VC access does a coworking space get me? Coworking spaces are not always a shoe-in for meeting VCs. However, joining a niche coworking community with a reputation of successful startup tenants could boost your chances of meeting the right investors. 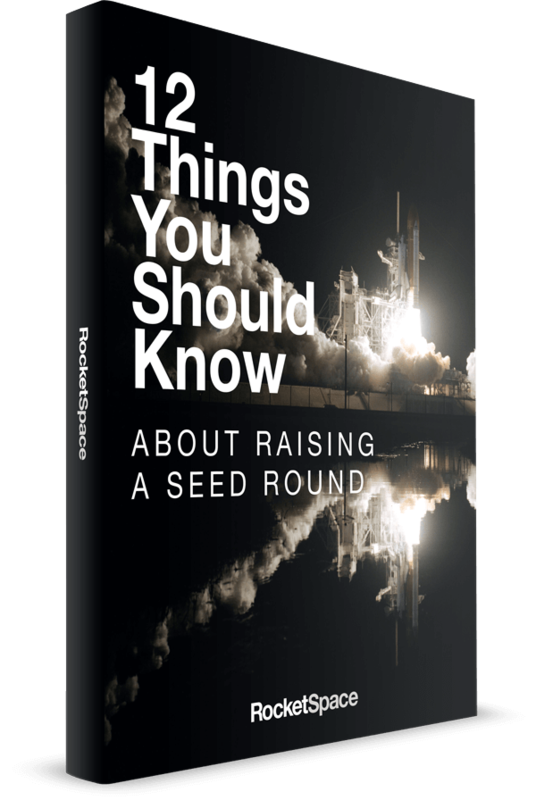 At RocketSpace, we often host investors for workshops and events, and our General Manager makes introductions for members on a case-by-case basis. Startups that are hoping to raise funds should focus on coworking spaces offering talks and workshops lead by VCs. A reputation of successful alumni can also lead to drop-in visits in addition to scheduled events. 9. What kind of networking opportunities do coworking spaces offer? One of the biggest benefits of a coworking space is the networking that naturally occurs due to proximity. It's the appeal of building relationships with like-minded professionals that's fostered the proliferation of niche spaces, like the recent "surge" in spaces just for attorneys and legal professionals. Porter Gale famously wrote that "your network is your net worth." For entrepreneurs who need to build connections, finding a flexible coworking space that has networking built into its culture can dramatically expand your opportunities. 10. How will a coworking space impact the culture and DNA of my startup? It's natural to worry about the potential impact of a coworking space on your startups' culture. Some of this is definitely physical — research by Steelcase has found that a "well-designed workspace" can be directly correlated to worker productivity and engagement. While you can pick a coworking space that offers the right office layouts and a modern environment, will the idea of shared space have a negative impact? Companies like Amazon and Twitter are starting to offer employees coworking space options for the simple reason that many people thrive in fast-paced, shared environments. Seventy-one percent of coworking space workers experience a boost in creativity, while 62 percent note that their standard of work has improved. Around the clock access to workspace can also improve engagement among flexible, mobile workers. The culture of leading coworking spaces can be "just so vibrant and different" writes researcher Stefan Rief. His findings support the fact that talent thrives in a social, open environment. In addition, leading coworking spaces offer multi-tenant offices and other flexible desk space offerings to allow companies to meet their teams' needs. RocketSpace's closed, curated community helps founders protect and foster their culture. Applications are only accepted from startups that are Seed to Series C funded, have an MVP, customers or beta users, and are building new or proprietary technologies. By creating an environment filled with like-minded founders and talent, RocketSpace offers a distinct, positive culture. Understanding the right coworking space is a lot more complex than sheer pricing, desk availability, and location. The right coworking option for your tech startup has the potential to help you win the talent race, expand your network, build your knowledge, and possibly even find next-round funding. If you think your San Francisco tech startup may be a good candidate for RocketSpace's community of innovators and trailblazers, visit our website to learn more or schedule a tour of our tech campus.